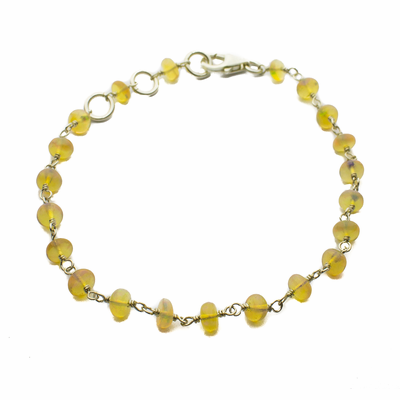 The play of color is brilliant in this Ethiopian opal link bracelet! These little bead burst with green and red and purple. You different play of color each time you look down at your wrist. Join the Gems 'n Wire Community! Get sneak peeks of new pieces and secret sales just for our Gems 'n Wire community, right from your inbox.Sign up now.